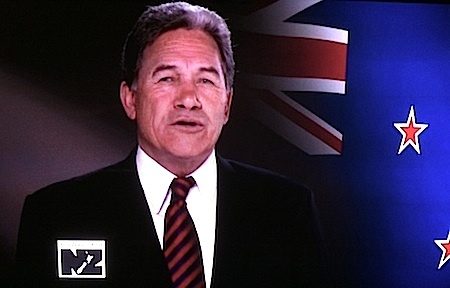 Winston Peters – comeback kid? Again? Don’t underestimate his political instincts and populism. Winston Peters. The closest thing we have to a natural politician. Loathed by many in the National Party and by others who seem to think some votes shouldn't count. Since then, Peters has continued to cause a ‘disturbance in the Force’ and ruffled a few feathers among some in the political intelligentsia who thought (wished?) Peters was finished. 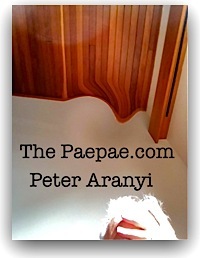 To the horror of all sorts of people, Peters is once again being talked about as a ‘kingmaker’. Personally, I see that label as almost an anti-MMP attack line. We discussed that campaign’s fixated, Don Quixote-esque flexi-bendy-elasti treatment of truth and democratic fact (i.e. in my view winning 13% of the vote earns you some clout) earlier. Yeah. That hasn’t changed either. He always talks a big game. Electoral success is, in my view, closely related to name recognition. To me – this man still makes good sense. I think the day we write off the historical knowledge and the benefit that brings, of such politicians – is the day we end up with anti mmp spotty faced overpaid lawyers calling the shots in Wellington. “Force of nature” is right. The visceral loathing and angry contempt some Nats I know hold Peters in is breathtaking. It makes me look at them through narrowed eyes. I’ve spoken to/interviewed Peters on three separate occasions in the last few days most recently on the morning NZ First announced he wouldn’t contest a seat. He’s still got it. He’s never been a strong organisation man, that’s a weakness for sure — but in terms of targeted charisma, and “X-factor”, Peters puts the other party leaders into the shade. And the spotty lawyer’s hypnotic fixation is intriguing to behold. Like a mouse drawn towards a cobra? Hi, friends ! 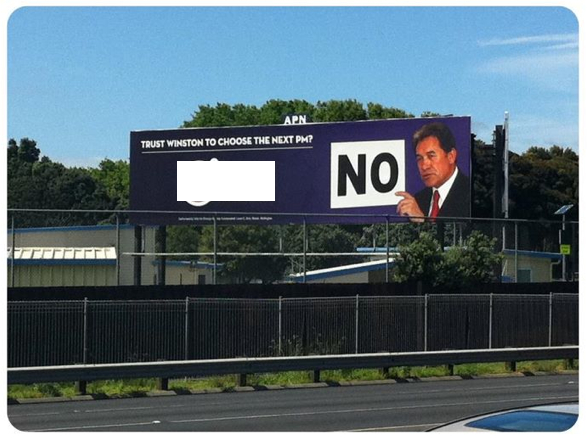 I am somewhat puzzled by the NZ1st slogan “We win, you win.” Please tell me; which one is the booby prize ?